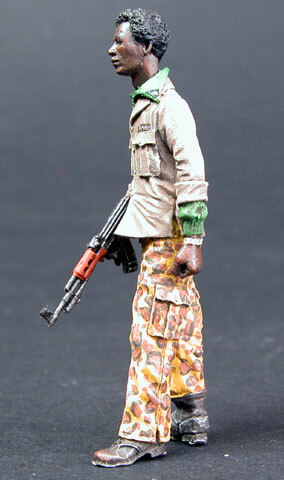 Here is another fine figure to add to the series of African military subjects covered recently by Warriors. 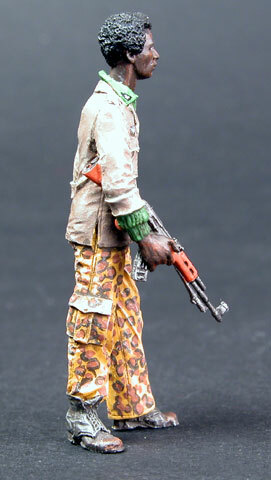 This is Warriors' item 35505, "Africa Militiaman". 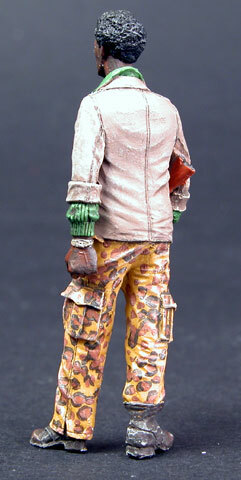 Inside the box there are four crisp, detailed yellow resin pieces requiring only minimal cleanup. The figure goes together like a dream. 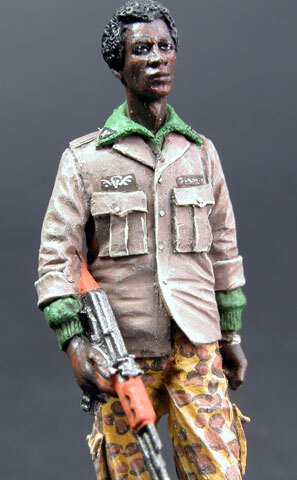 I had a lot of fun painting this figure as the range of colours in different shades of brown and green are fairly unusual in the field of military modelling, and it was an enjoyable challenge to make the combination work together. The end result represents a man who is prepared for action. 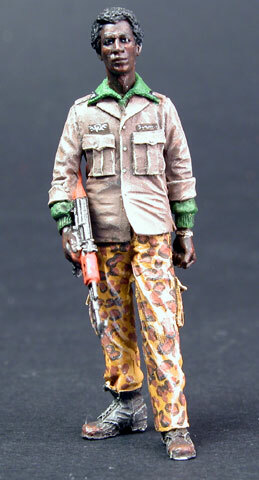 This is another great figure that I can heartily recommend to all. Thanks to VLS for the review sample.